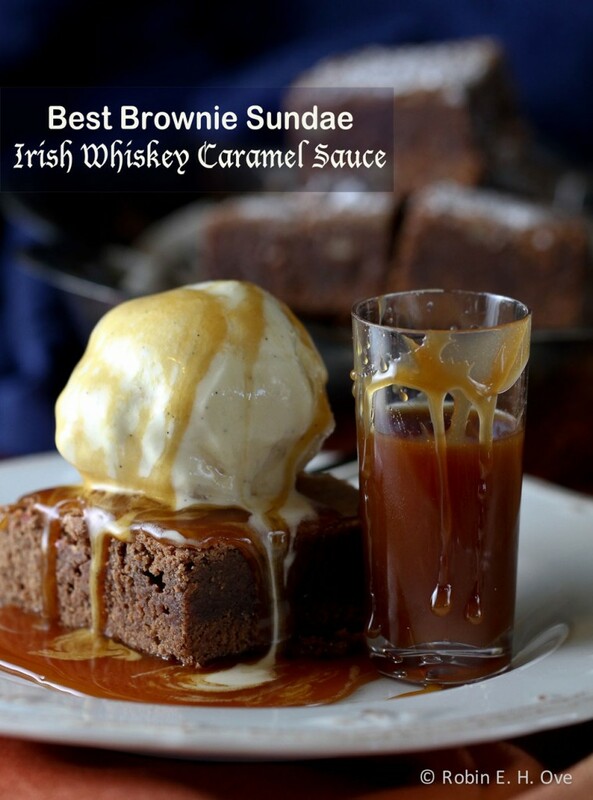 Best Brownie Sundae with Irish Whiskey Caramel Sauce - What about the food? There was a time, when calories and waistlines weren’t an issue. A childlike period in future denial where the quest to find the best ever sundae made as much sense a collecting buttons with hip phrases, echoing youthful abandon to conventional good sense. On band trips in high school, dates with my future husband, and dinners out with parents all became opportunities to try out another sundae. Mostly a purist, it had to be hot fudge (no chocolate syrup for me,) with creamy vanilla, whipped cream, sliced almonds and the maraschino cherry on top — or don’t bother. Not soft serve ice cream or ice milk either. You see the standard was set at home when Dad would make a sundae run to the grocery store and assembly would be set in motion. The jarred hot fudge sauce, opened and settled in a pan of simmering water to gently warm and turn the ingredients into liquid heaven. Yes darling, this was the time before microwaves. The bobble bobble rattle noise of the jar moving about the pan matched the antsy pitter pat of anticipation as I would shift from one foot to the other waiting for it to be ready. Hard ice cream softening just a bit on the counter as we warmed the scooper in a glass of water and soon two generous scoops would be placed into a bowl. Next the fudge sauce, still slightly thick as it poured over the top of the ice cream, melting it and cooling at the same time a glorious puddle settled in the bottom of the bowl. Best still was if I got a hold of the serving spoon still coated in fudge, instantly popped into my mouth. We loved using the canned variety of whipped cream to squirt with an explosion of noise and a deft twist of the wrist to make it swirl just so. A sprinkle of nuts and of course the cherry whose juices would slide down and red stripe the whipped cream. I still think homemade are about the best ever. But, there have been some pretty terrific second bests. The Fudgeana at Howard Johnsons comes to mind, eaten on the way home from our honeymoon. A goblet filled from Marianne’s Ice Cream, Swenson’s or Coast Creamery were all quite wonderful. 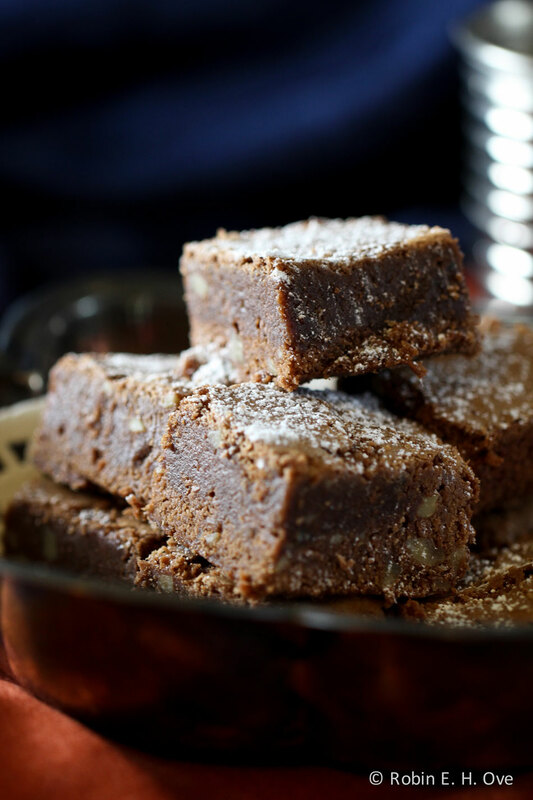 But lately I have been toying with the nuances of caramel, then brownies and have become convinced there is room on my favorites list for yet one more. So, it was last Saturday, at three o’clock in the afternoon and the craving hit. You know the one, and even if you hold yourself in check for a few moments you know you will head into the kitchen and begin rummaging for chocolate. Chocolate Anything! Now! Turning to my friend Jamie Schler for her Best Brownie recipe was the first order in assembling the ingredients. I didn’t have the darker chocolate and had to make do with a combination of 65%/70% blend instead of the 85%/70% Lindt combination which resulted in a slightly lighter version. There was something incredibly satisfying, beating each of the five eggs into to the grainy, sugary chocolate mixture and watch it transform into a plump, creamy and silken batter with a heady cocoa aroma. Old school beating, by hand, no mixer. While the brownies were baking I put the sugar and water on medium high and brought to a boil. Easy, caramel, soon. As it turned from white sticky stuff to clear bubbly stuff, to amber and then even darker amber I pour the six tablespoons of Irish Whiskey into a bowl, and the quarter cup of cream was at the ready. Quickly removing the caramel from the heat before it reached hard crack stage and poured in the vanilla, whiskey, cream, salt and a tablespoon of unsalted butter, stirring down the foamy explosion as the added ingredients hit the hot syrup. Next, just pour into a bowl and let it cool for serving later. This is just sinful on its own. So there you have it, a new adult sundae to add to your list of favorites. 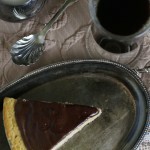 Trusting great, well written recipes for a perfect result. 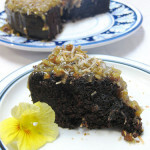 My thanks to Jamie Schler at Life’s a Feast and the fabulous recipe for Best Brownies –– it is truly divine! 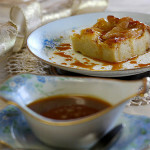 Caramel Whiskey Sauce from Gourmet Live | March 2011 by Ruth Cousineau Note: I added 1 tablespoon unsalted butter to this recipe. I am so happy to have discovered your blog through Jenni! 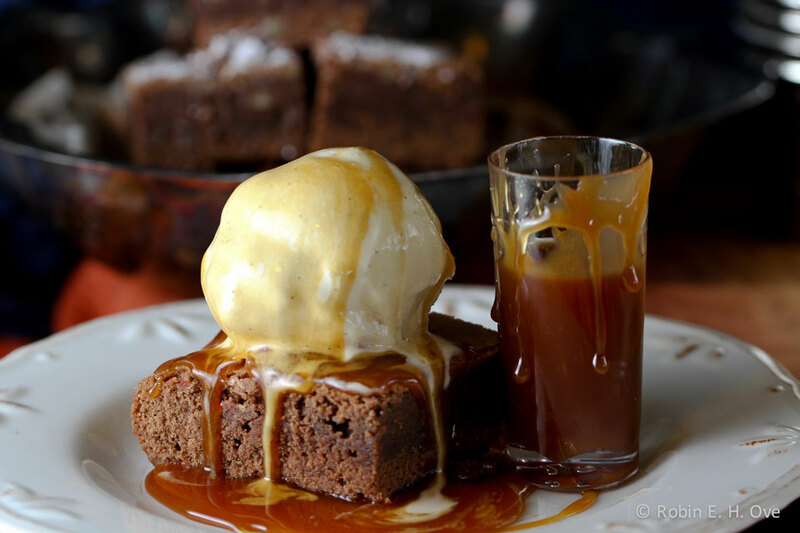 Your writing is as much a delight as these brownies with whiskey caramel sauce! I love your command to the restless bubbling caramel (“easy caramel, soon”) and the quickness in time as you raved against time to assemble the caramel. Thanks for the great read and recipe! What a joy to have you come for a visit Kelly! Your comments are surely a pleasure and delight. Can I got the measurements for this recipe plz? 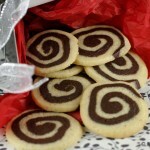 I linked to the well written recipes that I used for this post. Please just click on the links and they should open up in a new window. I hope you enjoy! This looks and sounds amazing. Unfortunately the link for the caramel sauce isn’t working. Thanks Tammy — I fixed the link; I don’t know how I missed that one. AHA! My brownie recipe and here I have been craving brownies all week and I had the best recipe under my nose the whole time! I’m so glad you pulled up and shared this post again! But yowzers it never looked this fabulous in my house! A scoop of vanilla ice cream and that Whiskey Caramel Sauce do indeed turn this into heaven! Happy National Chocolate Day! 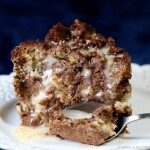 This is on the top of my list for go-to chocolate fixes! Thanks Jamie!